Asian openbill stork (Anastomus oscitans). 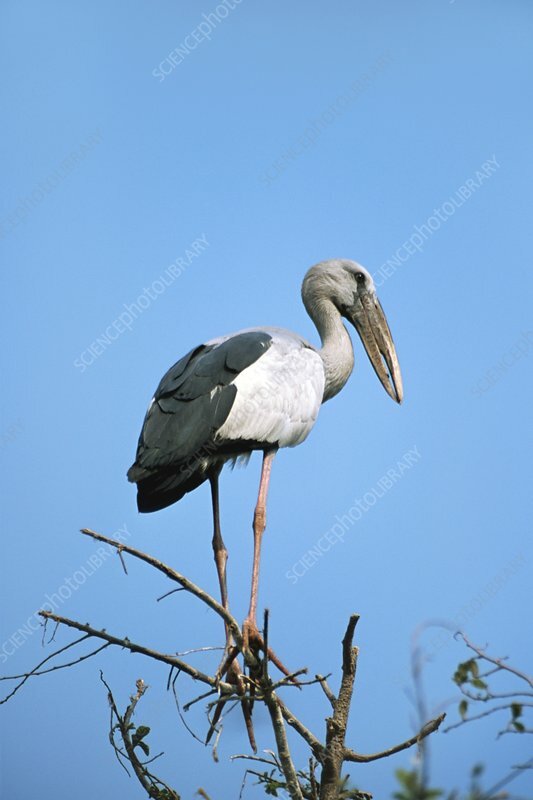 This is a relatively small stork, with a body length of 68 centimetres. It breeds in tropical areas of southern Asia, building a nest in a tree. It is a wading bird, using its long beak and neck to feed on molluscs, fish and other small animals in wetland areas. Photographed in Thailand.